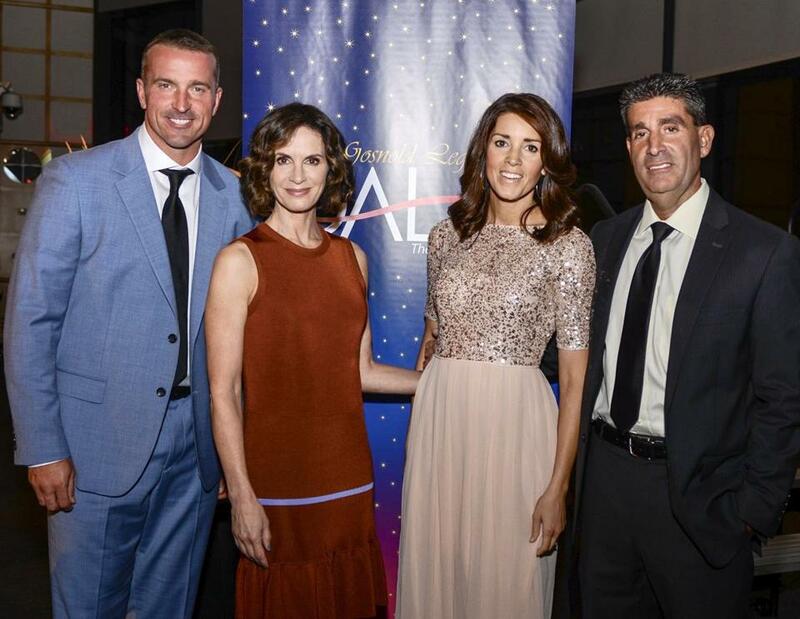 From left: Chris Herren, Elizabeth Vargas, Emily Riemer, and Richard Curcuru at the gala. The annual Gosnold Legacy Gala was held at the John F. Kennedy Presidential Library and Museum Friday night. The proceeds benefit the nonprofit’s initiatives focused on addictive disease and mental health. Governor Charlie Baker received this year’s Legacy Award for his response to the opioid epidemic in Massachusetts. Former Boston Celtic and Gosnold alum Chris Herren was honored with the Community Leadership Award. ABC News anchor Elizabeth Vargas spoke at the event, sharing the story of her road to recovery after battling alcohol addiction and an anxiety disorder. Among the 400 attendees were Gosnold’s president & CEO, Richard Curcuru; Massachusetts Secretary of Health and Human Services Mary Lou Sudders, and Ed Kardon of 24 Auto Group, which donated a 2018 Jeep Wrangler for raffle. WCVB-TV anchor and medical reporter Emily Riemer emceed the event.